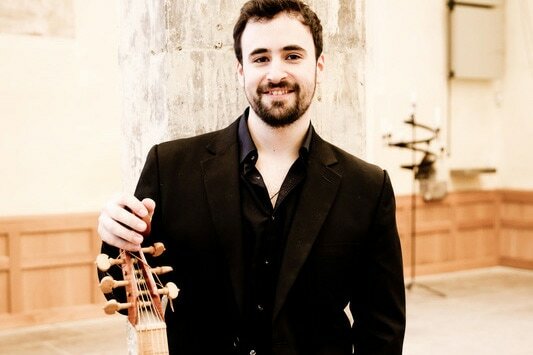 Richard Boothby (founder of the Viol Consort, Fretwork, and Professor of the Viol at the Royal College of Music), returns with Fretwork colleauge Sam Stadlen in duets for Bass Viol. The Viol was popular in Elizabeth I’s time and is noted for its reedy tone. A member of the guitar family, it has frets and is played like a cello with an underarm bow. During the eighteenth century a considerable solo repertoire developed in both Germany and France. 4pm-5pm. Tickets: adults £6.00, concessions £5.00, children £2.00. Tickets available at the door. Crèche facilities available. ​Richard Boothby has been playing the viol ever since David Fallows handed him a tenor viol while attempting to teach him about Wagner’s ‘Ring’ in Manchester University in 1977. After studying with Charles Medlam and Nikolaus Harnoncourt, he founded The Purcell Quartet in 1984 and Fretwork in 1985. He has helped to enrich the viol-consort repertory with new music from today’s finest composers, from Elvis Costello to George Benjamin, from Alexander Goehr to Nico Muhly. He was recently invited to join a new group, called ‘Trio Aporia’, together with Stephen Preston (baroque flute) and Jane Chapman (harpsichord), to explore radical experimental contemporary music, alongside the more usual baroque repertory. With the Purcell Quartet he recorded nearly 50 albums for Hyperion and Chandos; and with Fretwork he recorded over 30 albums for Virgin Classics, Harmonia Mundi USA and other companies. He arranged and transcribed many of the great keyboard music of J. S. Bach for viols, which were recorded under the title ‘Alio Modo’; and his arrangement of the Goldberg Variations has also recently appeared. 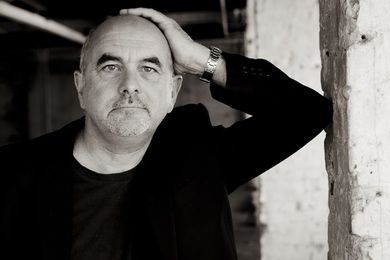 In 1998 he directed performances of Monteverdi's “L’Incoronazione di Poppea” with the Purcell Quartet; and in 2001 directed them in a fully-staged production of “L’Orfeo”, with Mark Padmore in the title role. He has recorded the complete lyra viol music of William Lawes for Harmonia Mundi, USA, which will be released later this year, and he regularly gives solo recitals throughout the country. He is professor of Viola da Gamba at the Royal College in London and teaches on the Marnaves viol course in southern France. Sam is a viola da gamba player, cellist, lecturer, musicologist, and teacher. Based in York, he is active as a musician in London and the North of England, performing as a soloist and with various period music ensembles. Taught baroque cello by Rachel Gray and viol by Susanna Pell, Sam performs as a viol player with Fretwork, Sestina Consort, Chelys, and Ensemble Touché and as a baroque cellist with the Stanesby Players, La Follia, and the London Abel Quartet, among others. He has benefitted from masterclasses and tuition from players such as Christophe Coin, Wieland Kuijken, Jonathan Manson, Alison McGillivray, Alison Crum, Richard Boothby, and Ibi Aziz. ​Sam is an associate lecturer at the University of York and has lectured at the Royal Academy of Music in London. He has a PhD from the University of York on the influences of poetry and declamation on the pièces de viole in late seventeenth- and early eighteenth-century France. This research brought together a detailed understanding of the language, culture, and politics of French society in order to better understand both the composition and performance of music by the great French violists, most notably Marin Marais. It resulted in a series of recordings of both pièces de viole and vocal airs arranged for viol which demonstrated the poetic nature of this music. Other research interests include the history and construction of string instruments and French Baroque rehearsal and practice techniques. Sam plays a cello by Thomas Kennedy (c1818), a 7-string 'Bertrand' bass viol made by Jane Julier (2009), and a 'modern' cello he built himself in the workshop of John Dilworth.